It was also announced that Kepler has found 1,094 more planetary candidates, increasing the number now to 2,326! That’s an increase of 89% since the last update this past February. Of these, 207 are near Earth size, 680 are super-Earth size, 1,181 are Neptune size, 203 are Jupiter size and 55 are larger than Jupiter. These findings continue the observational trend seen before, where smaller planets are apparently more numerous than larger gas giant planets. The number of Earth size candidates has increased by more than 200 percent and the number of super-Earth size candidates has increased by 140 percent. Previously there were 54 planetary candidates in habitable zones, but this was changed to 48, after the Kepler team redefined the definition of what constitutes a habitable zone in order to account for the warming effects of atmospheres which could shift the zone farther out from a star. The announcements were made at the inaugural Kepler science conference which runs from December 5-9 at Ames Research Center. See also the press release from the Carnegie Institution for Science here. Is it wrong I read that in Professor Farnsworth voice? Wow, great work by the Kepler team! Awesome! When can I visit the new planet? So…if we can create a ship that travels at the speed of light, and we drive it for a little over 600 years, we can start mining, clear cutting, and over populating Kepler 22b. Sweet! Awesome! Saving up for my tickets. I’m guessing that when the Kepler mission is complete the estimate for the number of planets in our galaxy will be at least 500 billion and the number of earth-like planets in the habitable zone will be at least 10 billion, far more than most people’s expectation. Yet again, the Copernican principle holds up; we are not unique. how old is that star ? How far is Kepler looking? How many stars are within 100 light years of Sol? Is there a plan now to train telescopes and spectrometers on this planet to see if we can detect an atmosphere or any radio signals? 600 light years is a little far to get excited about. I’m thinking anything within a radius of 30-50 light years would be more likely to promote a probe shot. At least our kids would know if it’s really as nice as it sounds! Kepler has a good telescope, it is the detection method of transits obscuring the stars that is limiting. IIRC it will be best between 1000 – 3000 ly away. The point of the mission is not to locate nearby habitables but to survey a good sample, so missions that look at nearby stars can be designed. Those missions will look for more of planetary characteristics, including signs of life. (Say, oxygen atmosphere on a habitable zone terrestrial.) I don’t think anyone is pondering probes, which are unrealistic, they will always be too expensive. But we can answer a long standing question of culture: “are we alone?” And we can do better science: study how planetary systems and planets evolves, how life evolves (evolution) and under what conditions life starts (abiogenesis). Man Nasa is doing good im glad to see they have made this discovery but it would be cool to send a machine that can record a video to Kepler-22b.But that would take a extremely long time.We should try making life on mars or one of Jupiter moons. If there is an advanced civilization there we would totally kick there butts in a war. What would the gravity feel like on a planet that size? It depends on the density of the planet as well the size. Densities can vary significantly. If the planet is saturn-like (gaseous) the gravity might be similar to earth, maybe alittle higher. That seems unlikely though. If it is a rocky planet, it would probably weigh in at something like 40-80Mearth, with a gravity around 6-12x earths. Highly unlikely. Neptune type seems more plausible, with a large rocky core and a very thick and dense atmosphere. Gravity somewhere near 2-3x earth. How did you arrive at these figures, mere speculation? Why don’t we wait for more data to come in before condemning the possibility that Kepler 22b MAY be earthlike……. The figures can be calculated from GM/(r^2). All those are known values, except D. So we can plug in different Ds (earth-density, saturn-density, neptune-density etc) and arrive at a surface gravity for each speculation. Thanks, but I wasn’t asking about potential surface gravity. LC answered my question above. But if it is a rocky planet, with a radius of 2.4Rearth, then the core will be heavily crushed almost bordering to degenerate, and the surface gravity will be very large. It would also be very unlikely that its just rock and metals, and almost no gases or volatiles, making the case for something inbetween. And the inbetween cases dont look like exactly an earthlike planet. Don’t anyone get your hopes up over this being an “Earthlike” planet. The relatively large diameter almost certainly means that if it does have an atmosphere, its surface density would be crushingly great. Also note that it lies on the extreme inner edge of the Habitable Zone. If anything, this might be a “Venuslike” world; certainly no place we’d care to visit! Not so crushing as life goes. Deep sea multicellulars manage ~ 1000’s of atmospheres pressure. As a comparison, Venus has ~ 100 atmospheres pressure at the surface. You will have to look again at the HZ figures: Borucki made a huge point that this planet is as much or little marginal as Earth relatively seen, while earlier potential habitables have been marginal. Probably a very hot, smoggy, high pressure world. Worse than L.A. I wonder if this could be a water planet, though. so, this planet is 2.4 times the size of Earth … what would that mean in population capacity? More than 2.4 times Earth’s capacity, I’m sure, but I get lost in calculations beyond that. Anybody got an educated guess? It really is anyone’s guess at this point. However if I was a betting man I’d say it’s likely 0. This planet is large enough to be either a super Earth or Neptunian, and likely to have a more dense atmosphere then Earth. Given it’s proximity to the star it could very well could share similar characteristics as Venus, especially if it has a dense atmosphere. A gas giant would be uninhabitable. The surface area of a sphere is given by 4(pi)(r^2). If the radius is 2.4 times greater, the surface area is nearly 6 times greater. Of course, the human population capacity of a planet depends on a hell of a lot more than space… as it stands there’s a good chance it’s uninhabitable by humans. Even if inhabited by alien life, it might very well still be uninhabitable to us. Somebody will go there in future. The fastest human vehicle sent to date is Voyager 1, which is traveling at 17.46 km/s. It would take Voyager 1 about 74,000 years to travel the 4.3 light years to Alpha Centauri (nearest start system). That’s probably about the best we’d be able to do with chemical rockets. We may be able to develop faster propulsion technologies this century, including Nuclear Pulse Propulsion, the Fresnel Lens Sail or fusion. However, none of these offer a viable technology that could get us 600 light years out. A Earth-Analog >10 light years is reachable within most of our lifetimes, with some major technological upgrades. 20-50 light years may also be reachable in the very long term. As long as someone’s still here and able to receive the return telemetry. He said future, not near future. Who knows what the human civilization will be like 10,000, or 100,000 or even a million years from now. We may be non-existent, or we may be ubiquitous in our galaxy. I’m almost positive that at some point way ahead in time, Earth may not even be a ‘headquarters’ to return telemetry to. Earth will just be one of many sites of human (or human-like) colonization. Its heritage as our birthplace, our cradle, will be long forgotten by those descendants who dwell amongst the various celestial objects out there. Very poetic and sci-fi however, the hurdle is EM and relativity. Unless those hurdles can be cleared, traveling and communicating in a space network environment even in our galactic back yard will be next to impossible. It would be comparable to going from the era Lewis and Clark or even the pony express to today’s technology. Sorry had to throw that in. Well if its comparable to that, then clearly by your analogy it’s possible, as manifested by this technological development that actually happened. No one 500 years ago would have believed that we can now talk to anyone on the planet instantaneously (practically speaking) or that people walked on the moon or a number of amazing things. When it comes to the distant future, it’s nice to dream a little. Your right. I shouldn’t have analogized but, the hurdle(s) still remain. I really do dislike the appeal to technological miracles. Sure, we might develop faster-than-light travel, but by the same token we might develop a way to focus quantum fluctuations and have whole new habitable planets blink into existence right in our own solar system, doing away with the need for FTL anyway. Who’s to say which is likelier? This is about 13.8 times the mass of Earth and its surface gravity would be 5.75 times Earth’s. This planet could also turn out to be not a rocky super-Earth, but a Neptunian type of gas sub-giant. So at 600 light years away and with its physical dimensions homesteading is probably out of the question. If there are oceans there life could flourish of course, but on land everything would be short and squat. LC, Where did you arrive at the mass figure. AFAIK, the mass has yet to be determined, or am I missing something? I assumed this planet is a rocky planet like Earth and that the density is about the same. So the mass would be 2.4^3 = 13.8 times that of Earth by volume increase. If the planet is a gas sub-giant then the density would be a lot less, maybe a quarter that of Earth, so the mass would be less. Dont forget the effects of core-compression for such a large rocky planet. A back-of-the-envelope calculation based on an earth comparison indicates you need to pour more than 2.5 times the material on a rocky planet before it will reach 2.4 times the earth radius. Proportionally more gases or volatiles significantly reduces that though, but then it would no longer be an earth-analogue. This is even sweeter than one can think at first. If you haven’t done so, you should head over and watch the press conference! – The planet is well within the habitable zone, as opposed to the other two known habitable candidates which are marginal. – The planet is just shy being a general Earth analog (0.5 – 2.0 Earth radii; not the Kepler definition). – The increase in planets is mostly due to a better data pipeline. They expect another large increase with further improvement in the update pipeline to the data pipeline! – The number of small planets increased most due to the better data pipeline. – The number of habitables went up from ~ 50 to ~ 130 before taking the atmosphere into account. So the number of habitables increased with nearly 200 % as well in the old raw measure. What happened then was that the old number of ~ 50 went down to ~ 25 before we landed on ~ 50 again. – The ratio of “multis”, Batalha’s term for multiplanetary systems, has remained steady. A slight increase from ~ 17 % to 20 %. – Several speakers will release numbers on η, the ratio of exoplanet systems/stars. * Unless of course the water is so deep that there is some form of ice shielding the crust. If this planet has several moons, is their mass included in the estimated mass? Would the existence of moons mean the planet could be smaller than the estimate? Would the moons (or rings for that matter) affect the transit shadow, making it appear larger? If the planet is a ‘small Neptune’, could it have an Earth size moon? Thanks for keeping us informed! A quick calculation suggests that if the planet had a single Earth-like moon (by which I mean, a moon of comparable proportion), the parent planet could not be more than about 5% smaller for the duo to cast the same silhouette area as it transits. An exoplanet’s moon would always add to the silhouette, unless it was by astonishing coincidence in front of or behind the planet at the time. In theory we could detect a moon by making a distinction between the first dip in starlight, as the planet enters the disc, and the second dip as the moon follows (or vice versa). But we’re not able to detect moons yet – there’s too much noise in the data. Jon Voisey: Forget Exomoons. Let’s talk Exorings. “Fortunately, a study this year by Schlichting & Chang demonstrated that, even if the planet’s spin is aligned with the plane of orbit, it’s quite possible that the rings will be significantly warped due to gravitational interactions with the star. Thanks! I know all this is only speculation, but thinking about a moon, Earth sized or slightly larger, orbiting a large planet inside the habitable zone, makes the mind burst with questions which we can’t yet answer. I’m praying Kepler will answer some, but we will have to wait and see. This is really a great info. Thanks for sharing it with us and thank you for putting up such a helpful and useful information on your blog. Hello, I have a question about this. In this article for example, you see the image of the new planet, at 600 light years away. Does this mean we are seeing the planet 600 years ago in the past or as it is right now? 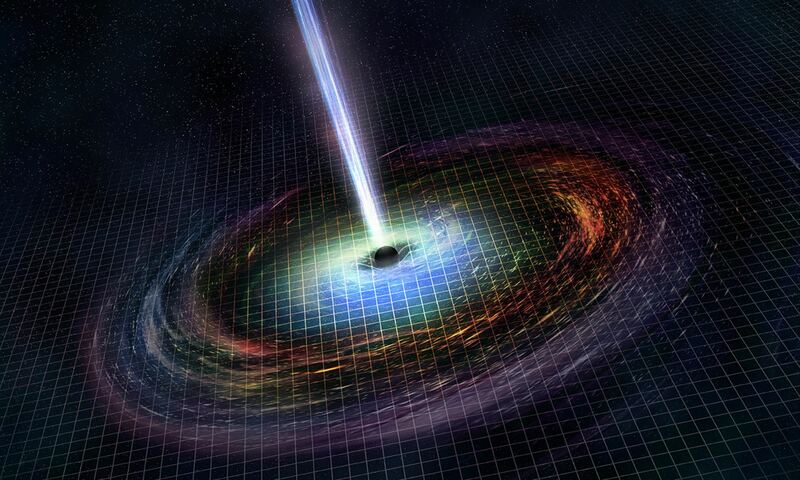 That’s an artist’s conception – we don’t know what it really looks like. But yes, the light we are receiving from the system was cast about 600 years ago. Is the image and information we see and have of this planet the actual recent information or, is it at 600 light years away, the planet as it was 600 years ago? Hi Earthlings! We’ve been watching you for months now. Your planet is a mess! Who does the planetwork here? The land masses have got forests growing all over them. Yuk! There’s snow all over the mountains and nobody’s brushed the deserts for aeons. Your eating habits are vile! The heterotrophs eat each other. They even eat the autotrophs! I can’t wait till I get back to Kepler 22b (as you like to call it). Previous PostPrevious Earth’s Magnetic Pole Reversal – Don’t “Flip Out”! Next PostNext Are Gas-Formed Gullies the Norm on Mars?